One for our friends in Scotland here – for everyone else, skip straight down to the vine at the bottom, you won’t regret it! On the 28th November, Tennent’s Lager will host the first ever T5s tournament at Glasgow’s ProSoccer in Rouken Glen park. The tournament is open to teams of over 18s across the country and of any ability to compete to be crowned the coveted T5s Tournament Champions as well as getting involved in some fun challenges and a few surprises on the day. The tournament will have guest commentary from an icon of Scottish football, Archie Macpherson. Archie has commented on some of Scotland’s most iconic football matches in recent history, and will be at Rouken Glen on the 28th November to crown the T5s champions. The winning team will receive £500 worth of football equipment for their team, with each player from the winning and runners up side receiving a case of Tennent’s Lager. The goal of the tournament will receive a golden boot trophy and a case of Tennent’s lager, whilst the best team name will receive a custom designed team logo printed onto a match ball. Every participant will get a complimentary post-match pie and a pint. Diet of Champions. 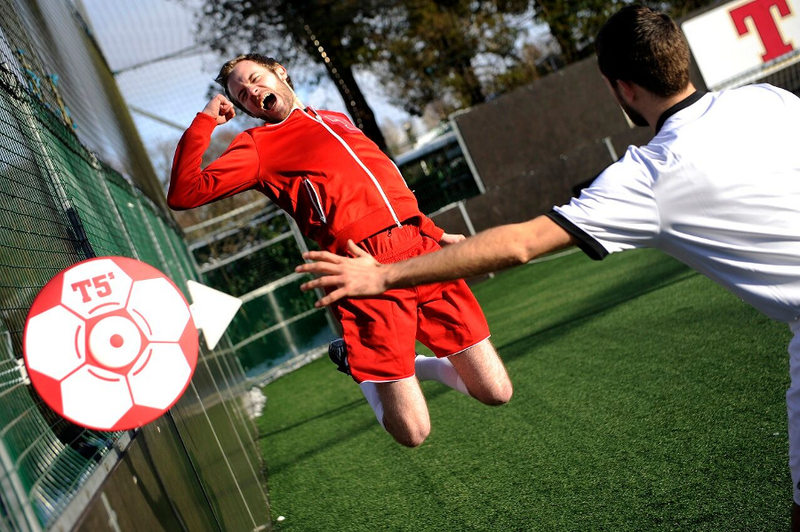 T5s technology, launched by Tennent’s in February 2015, has taken the five-a-side world by storm, with over 24,000 videos uploaded and over 20m online views to date. T5s is live on 14 pitches across 5 centres in Scotland, with more planned over the coming months. It allows players to capture and upload the last 20 seconds of action by pushing one of the giant red buttons positioned on the sidelines. No need to wait until a Saturday night to see the highlights, the footage is uploaded to the T5’s app and www.T5s.tv. T5’s most famous clip went viral after being viewed over 15m times worldwide. The clip even featured on the James Corden Late Late show in America.